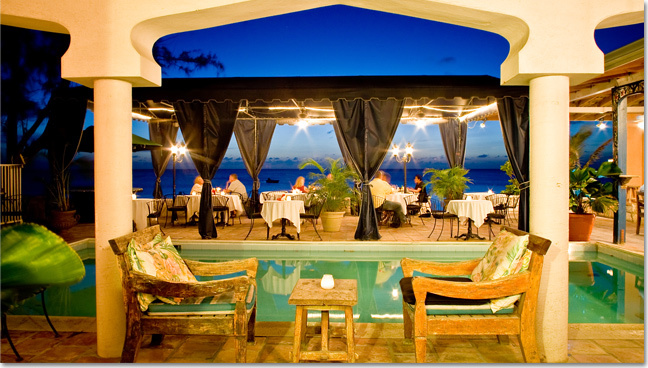 Osprey Beach Hotel restaurant offers poolside dining for breakfast, lunch and dinner with a spectacular view of the ocean. Menus change daily, and often feature fresh fish, the catch of the day, lobster in season, as well as steaks, lamb and chicken. There are plenty of salads to choose from too. Desserts feature homemade cakes, pies, and ice cream. Our key lime pie is world famous, and don't even ask for the recipe. Our famous BBQ nights happen three times a week on Mondays, Wednesdays and Saturdays. Listen and dance to live music and entertainment on Wednesday and Saturday! Free Wi-Fi is available poolside. 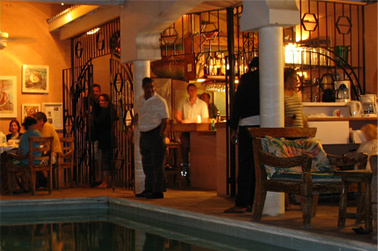 Osprey Beach Hotel's well-stocked bar is popular with hotel guests, local islanders and ex-pats alike. 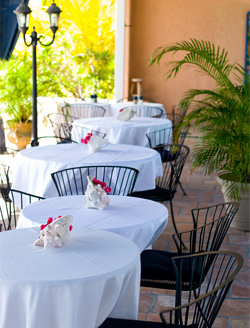 Enjoy the lively bar atmosphere or relax by the pool and enjoy a cool drink while soaking in the warm sun. There are also lounge chairs just a few steps away on the beach. One of our popular cocktails is our Caribbean rum punch, which includes a light rum, a coconut rum, and a dark rum, topped with fruit juices. Lightweights, beware! At sunset, watch for the elusive green flash on the horizon.